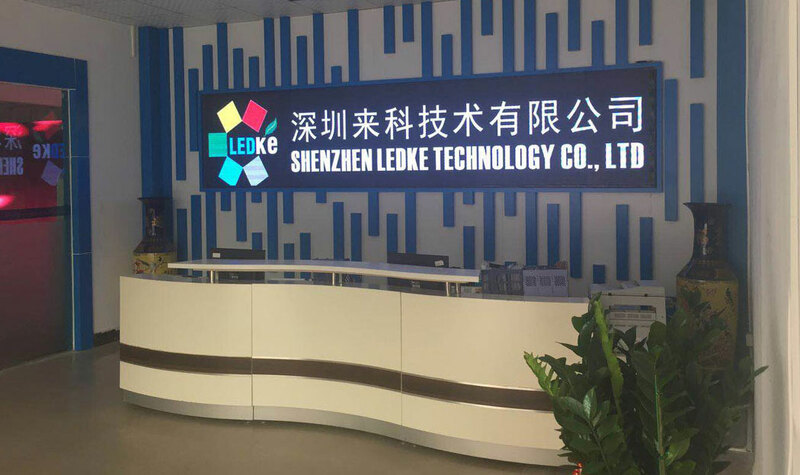 LEDKE is a professional smart LED Display manufacturer; our aim is to supply clients with smart LED display with high quality and reasonable price, out solution suitable for both indoor and outdoor use. Beside, we continue on our innovation, we can also provide our customers with customized LED screen. We located in Chinese international city Shenzhen, our factory covers an area of 6,000 square meters; we own more than 20 engineers which can supply exactly solution and support for all our clients; also our 200 workers supply strong support for the delivery time. We focus on reliable quality, advanced technology, stable workmanship, automatic production facility and reasonable price. And provide the standard and convenient products for word wide clients. They are being widely used for stage, night club, conference act., and our items good for booth rental and fixed installation. Insist on the orientation of innovation for development, and honesty for business. Carry on the values of progress with our customers and suppliers together. Execute the policy of develop gradually, steadily and comprehensively. And comply the philosophy of supply our clients with professional service and high-end LED display. LEDKE welcomes friends from all over the world, and finally growing together.